Hi Everyone!...How U all doing today??? All good I hope! Anyways, time panas2 camni...tekak selalu mintak something cool aje la! 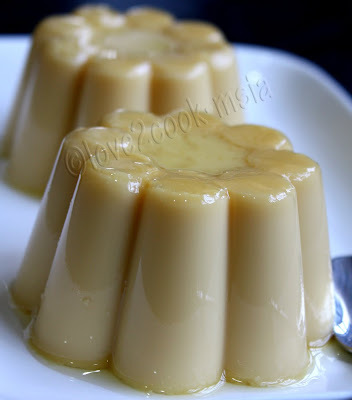 Love actually nak buat another recipe of eggless pudding, tapi bahan tak cukup...so this time Love follow recipe Firasyira@MyR ...mmg ramai dah try puding nih kan...it's my turn now! Worait, layan resipi dan pics Puding Karamel Tanpa Telur nih ya..mmg sedap..! Hanguskan gula cam buat karamel utk puding karamel yang lain gak...(Love guna honey jer...that's why color dia very light). Dalam periuk didihkan bahan B.
Kecilkan api kemudian masukkan bahan C. kacau rata selama lebih kurang 3 minit sehingga adunan sedikit likat dan pekat. Matikan api, tuang adunan dalam acuan yang berisi gula hangus. Bekukan sebentar, dan hidang. (lebih sedap dihidang sejuk-sejuk). Bring ingredients (B) to boil. Lower the flame and add ingredients (C). Keep stirring for about 3 minutes until the mixture concentrates. 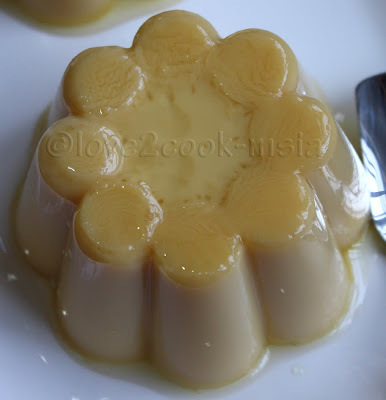 Turn off flame, pour the mixture into moulds that contain caramel. Leave it to set, then chill. * Pls adjust the sweetness according to your preferences! Hello...I have come for my share!!! Ada tak ni? Yummy cam tu kena cepat kalau lambat...selamat!!! Hihi. Panas sungguh hari ni, kan? hihi. 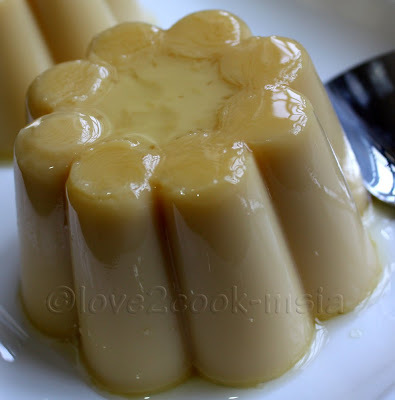 Saya pun nak eggless pudding jugak..! nampak sedap jer tu. Loveeee...i want more than uuu..hahaa..
Sedap kan puding ni..next time try put some horlicks..so yummy! sedapnya love...mmg sesuai mkn time pns2 ni!!! 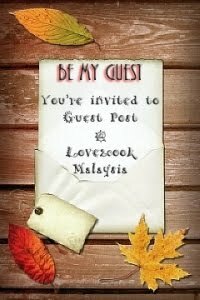 Ijan ~~> If I can, mesti dah suruh Hubby ambik kita ke sana! hehehe suke winter! Ur pudding looks extremely yummy...U are not only a good cook but also talented photographer. Ur photographic techniques are superb. I'm planning to get a DSLR, what brand and model are u using? that's a delicious caramel pudding you have there!!!! I absolutely don't understand a word of that introduction (hihihhih) but I understand one thing you haven't used eggs I suppose? 'coz I see agar-agar there??? hehehe, anyways, that's one of our all time favorites!! !